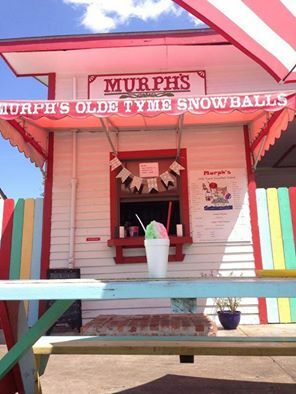 Stop by Murph's Olde Tyme Snowball Stand! We are located right behind Olde Tyme Grocery and are open April - September. We have a variety of flavors including sugar free! Come beat the heat with an ice cold treat! We also have a Snowball Trailer available to rent for any occasion: birthday parties, picnics, baseball parks, school activities, & much more!